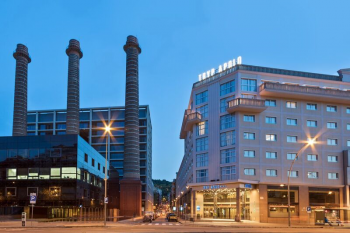 The Tryp Apolo hotel is located on the Avenida Paralelo, a 10 minutes’ walk from the Barcelona Trade Fair Center and the Congress Palace. Just 5 minutes from the harbour, and the city’s shopping and historical center. 10 km from the airport and with easy access to all major highways. Metro and bus station right outside the hotel. 1 km from the Olympic Village. 60 km from the Costa Brava.